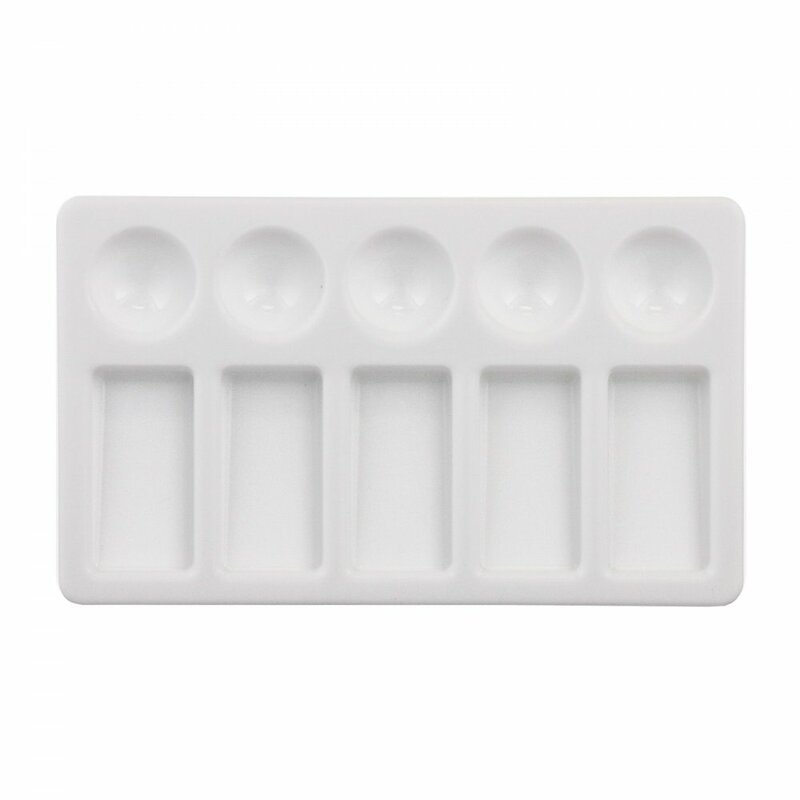 This plastic palette has 10 wells (5 slanted, 5 dips). Suitable for use with watercolour, oil colour, and acrylic paints. Made from durable plastic, which is easy to clean and store. All palettes are white to ensure easy judging for colour mixing.